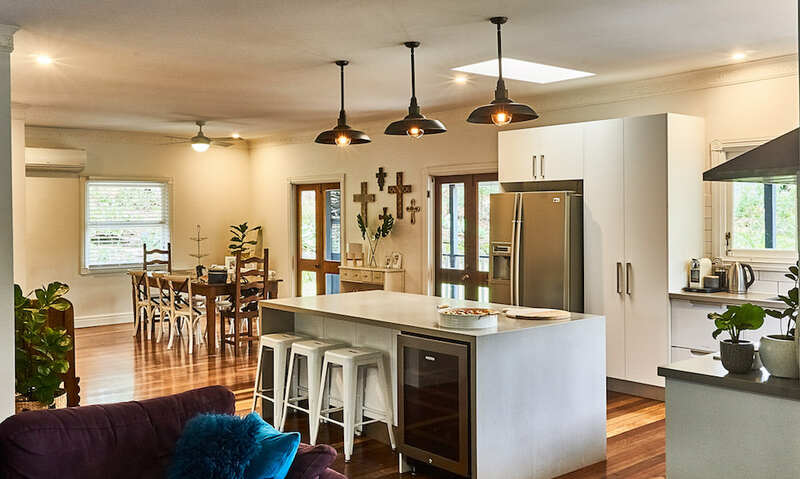 This is a lovely old Queenslander with original timber floors. 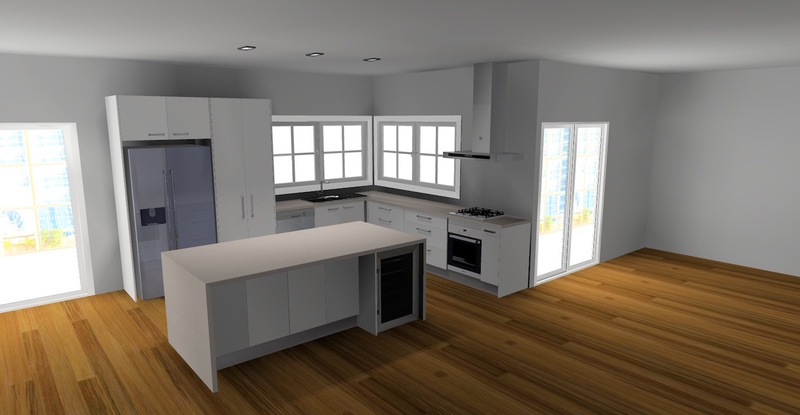 The kitchen was totally enclosed and the client’s request was to open up the kitchen. 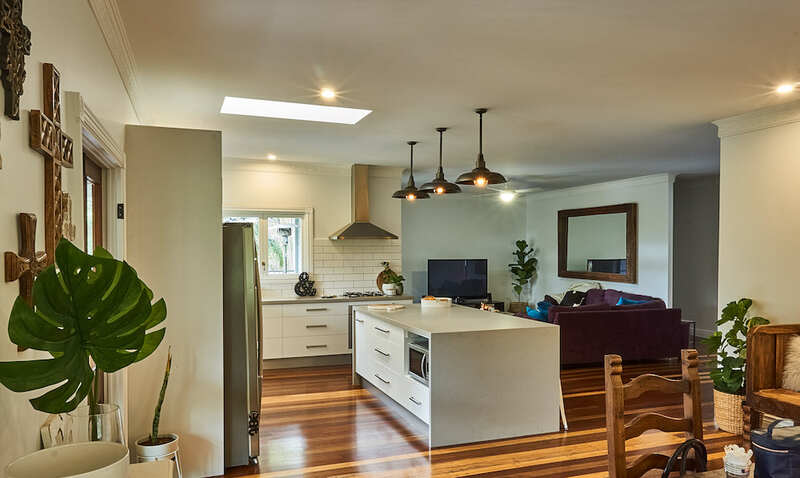 By demolishing a few walls including the study, enabled us to retain the lovely timber floors. 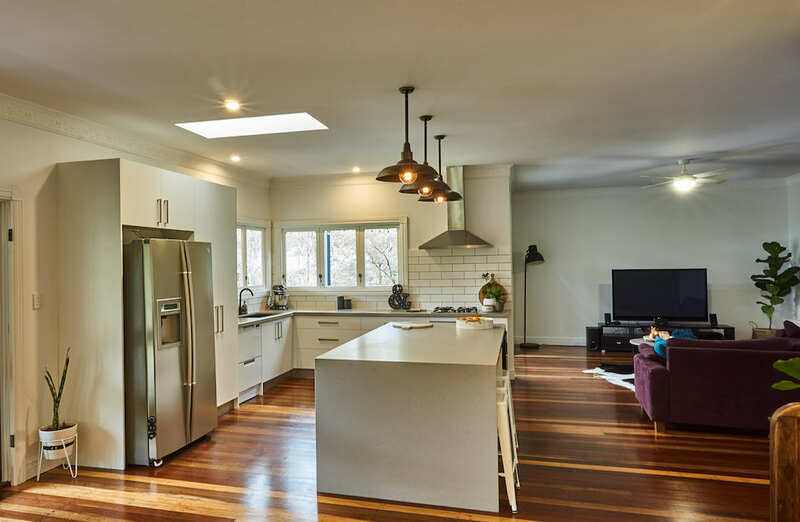 She also loved the rustic feel of a kitchen that would suit her home. 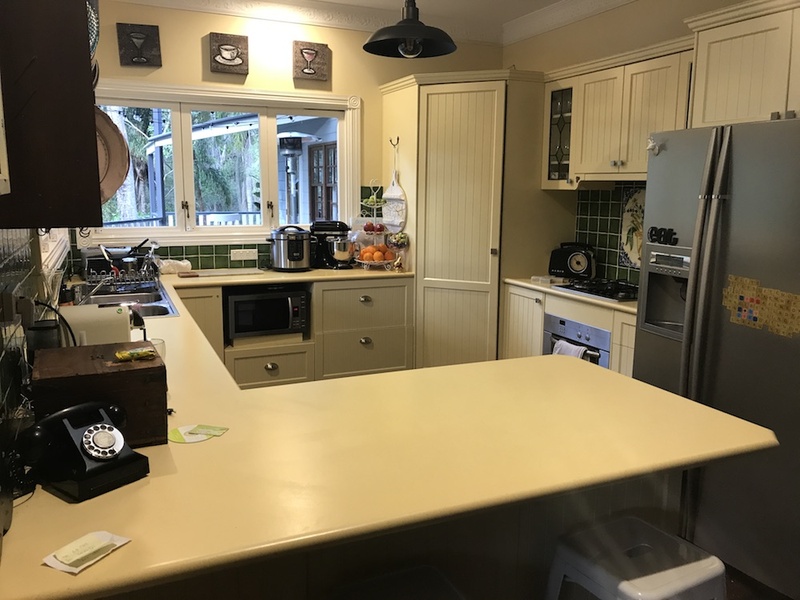 The original cornice was restored and installed in the new kitchen to ensure we keep as much as possible from the original home. One of the challenges was that we did not know the condition of the floors when the old kitchen and walls were removed. A professional timber floor sander and restorer was contracted to restore all the floor to their former glory. 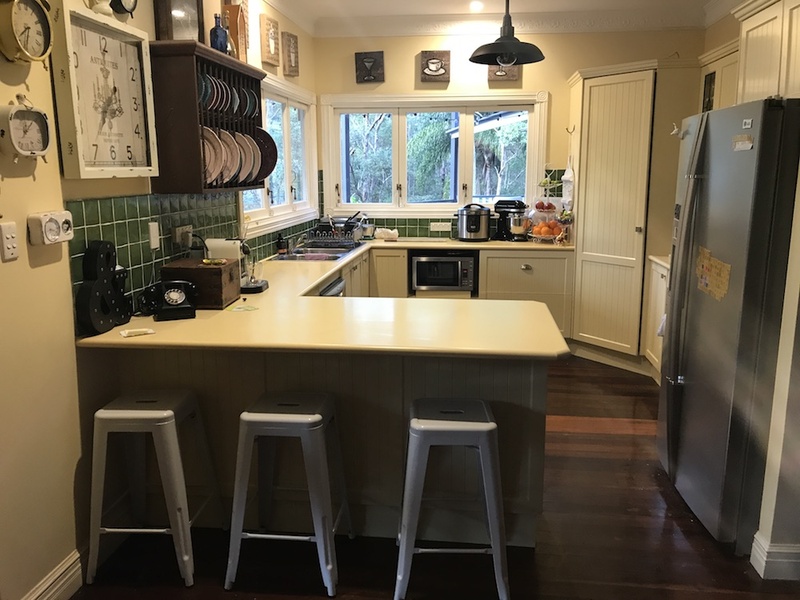 Different cabinet and benchtops options were discussed and a decision was made to install plain cabinets so the client could spend more of the budget on the benchtops. 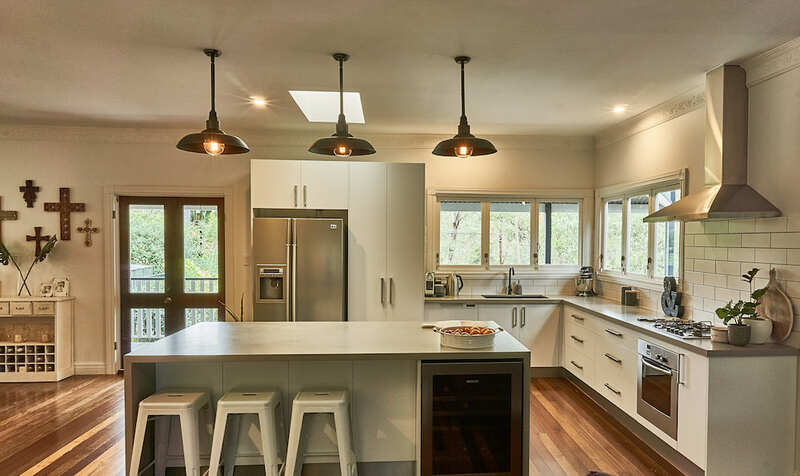 The raw concrete benchtops were worth every cent and further enhanced the rustic feel.